TROY — The Troy Daily News will not print a newspapr on Monday, Sept. 3, due to the Labor Day holiday. For news updates, be sure to follow the Troy Daily News on Facebook, Twitter @Troydailynews and online at tdn-net.com. The Miami Valley Sunday News will be available as scheduled. The Troy Daily News will continue on Wednesday, Sept. 5. 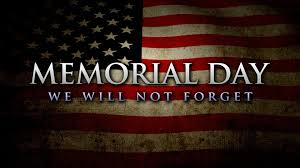 Thank you and have a safe holiday weekend.